We have a policy of a fifteen minute admission time at the beginning of both the morning and the afternoon sessions (8.45-9.00, 12.25-12.40). This means that the children can come in gradually to avoid congestion, and gives us more time to greet you, which in turn helps the children to settle more easily. Children wear a uniform which consists of a Whiteheath jumper, sweatshirt or cardigan, a plain white polo shirt and black bottoms e.g.skirt, leggings, trousers or jogging bottoms. The children wear suitable, seasonal footwear. We do not allow open toed shoes or 'crocs' in the summer. Children bring in water bottles every day. Registration takes place in small groups at the end of the admission time. This is a very valuable part of the session since it always includes a focussed group activity in which every child is encouraged to participate. We find that children are particularly receptive at this time, and so prompt arrival and regular attendance are both very important. We organise our session to include opportunities for individual, small group, and whole group learning. There is provision for the children to engage in directed learning by a member of staff and to also make their own choices from available resources. Child initiated learning is important for developing independence and an ability to relate to a wide range of people. Children have access to indoor and outdoor resources throughout the sessions. Children also have access to fruit throughout the day. The end of the Nursery session involves a Letters and Sounds group activity. This encourages speaking and listening which develops skills necessary for reading. We also have a plenary involving stories and singing. Each term we choose a few topics which provide us with the scope to embrace all areas of learning in the Foundation Stage. Activities vary from day to day, giving the children as wide a range of educational experience as possible. 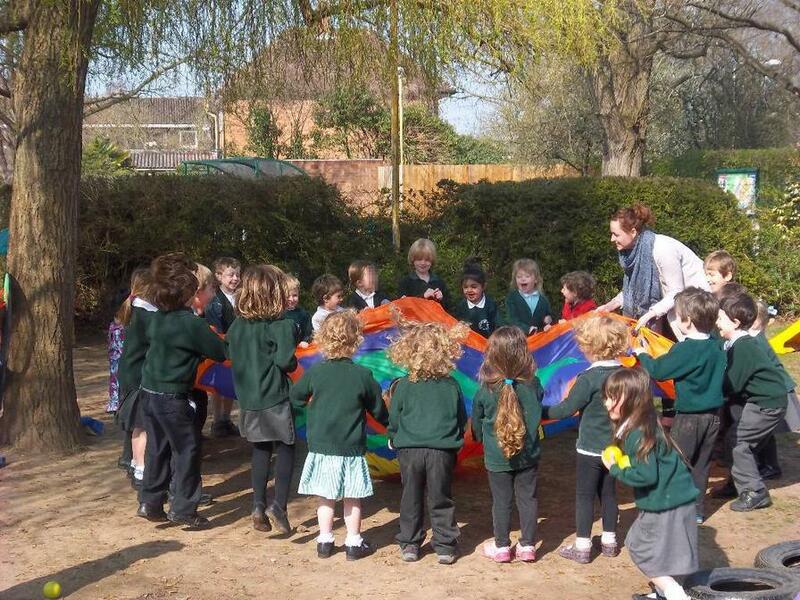 Our learning environment is large, attractive, and well organised and resourced, both indoors and outdoors. Everything we offer helps a child to learn, stay safe and have fun!